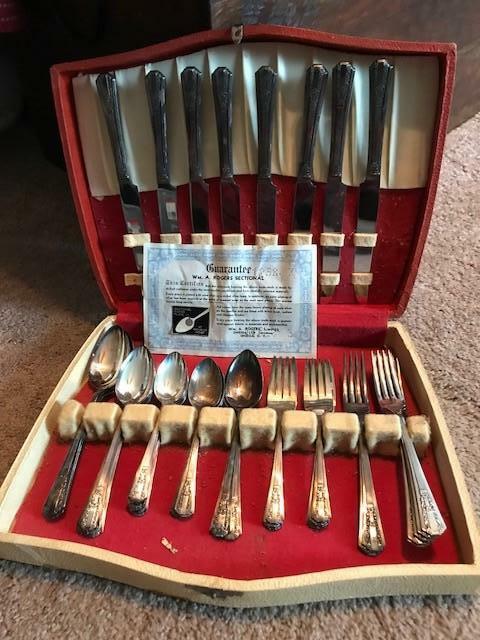 45 Pieces of flatware,8 each of knives, soup spoons, salad forks, dinner forks. 10 teaspoons and 3 serving spoons. 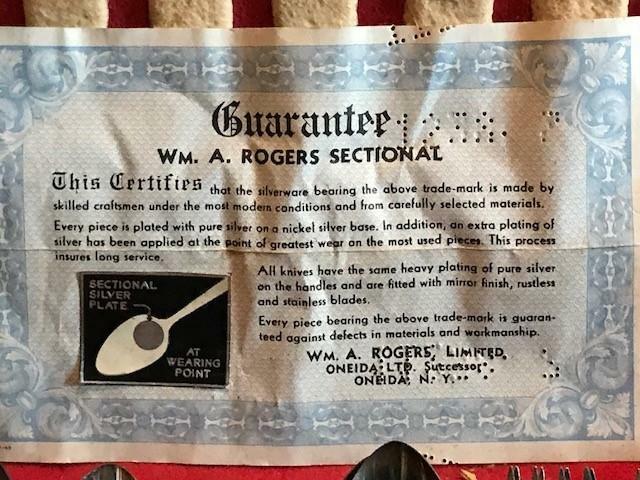 One Boxed set of 1938 Lido Wm A Rogers Silver Plate (Oneida) , the set comprising of 45 pieces. Sadly the market and demand for silver plated services is currently very weak, a result of the downsizing Baby Boom Generation downsizing and clearing items inherited from their own parent's generation. 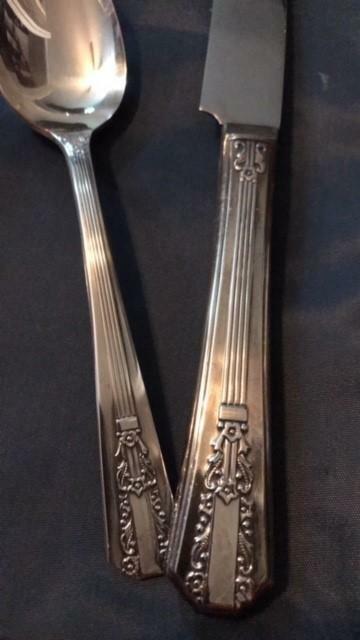 It's not uncommon for comparable sets to yours to sell at auction now for under $95.00.